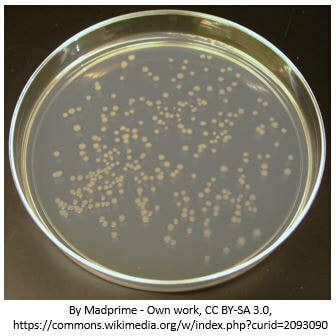 The term "Pure Culture" refers to a population or colony of cells growing in the absence of other species or types. 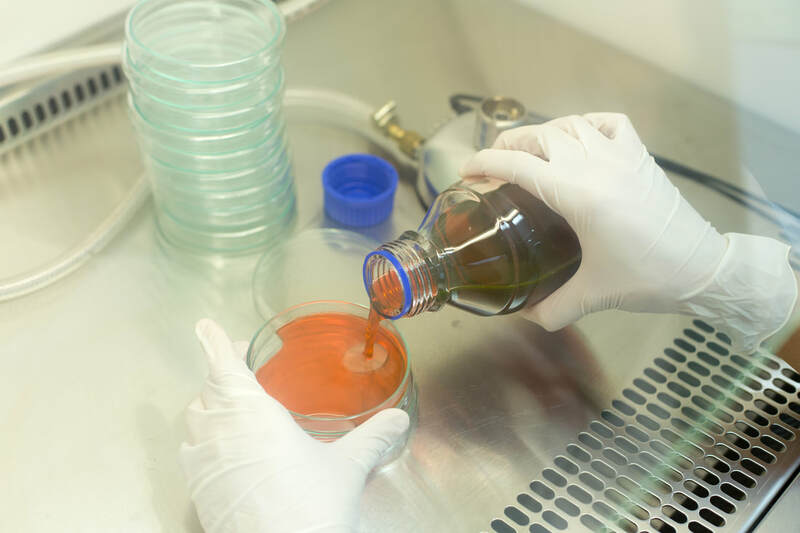 The idea that is if an agar plate is inoculated with only one species and there is no contamination, then each colony on a plate will consist of genetically identical cells have have come from a single progenitor or parent cell. 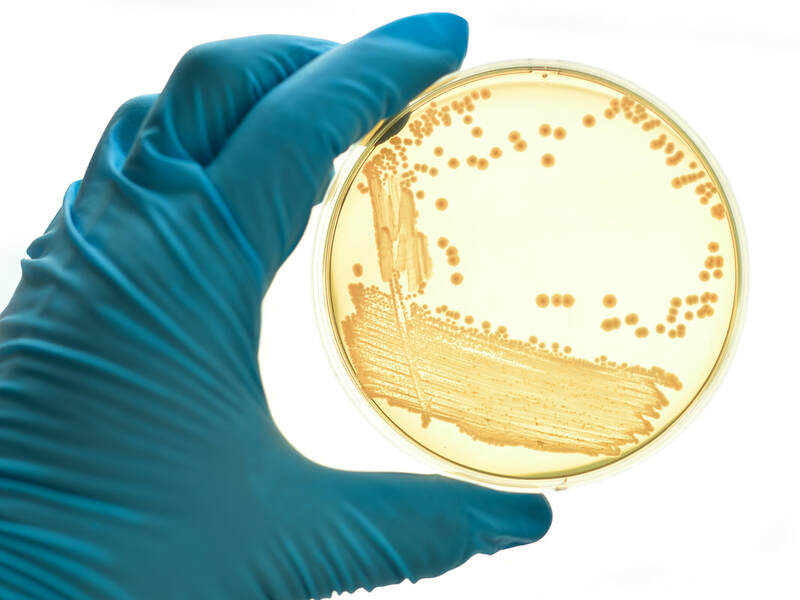 ​Pure culture technique allows us to isolate one species from a mixed culture is a useful tool that helps to obtain a single kind of organism from a mixed culture. There are two common methods of pure culture. Both of these methods result in individual colonies that are isolated from a mixed culture. 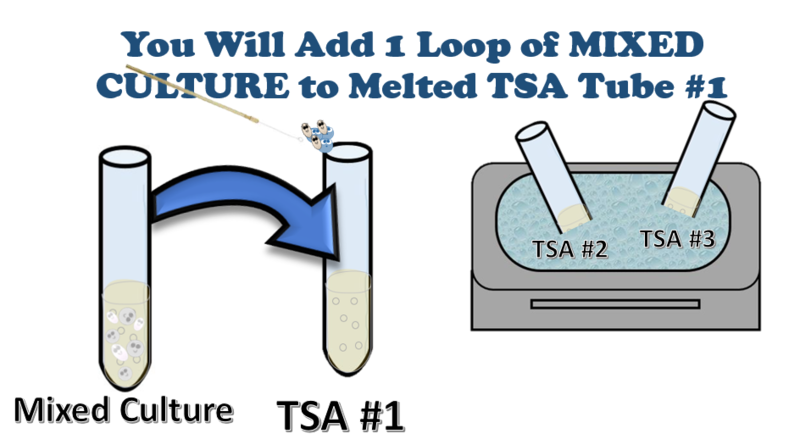 *You only have one shot at getting this right, because the TSA agar will solidify quickly. Have everything completely prepared and "ready to go" before obtaining your TSA tubes. 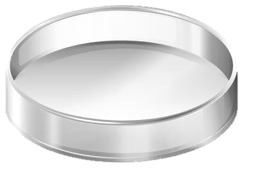 Obtain 3 empty plates (Petri dishes). Label them 1, 2, and 3 along with, ​names and lab days and time and organism. Obtain the broth containing the mixed bacterial culture and a loop, and flame the loop. Use loop to mix 5 seconds. 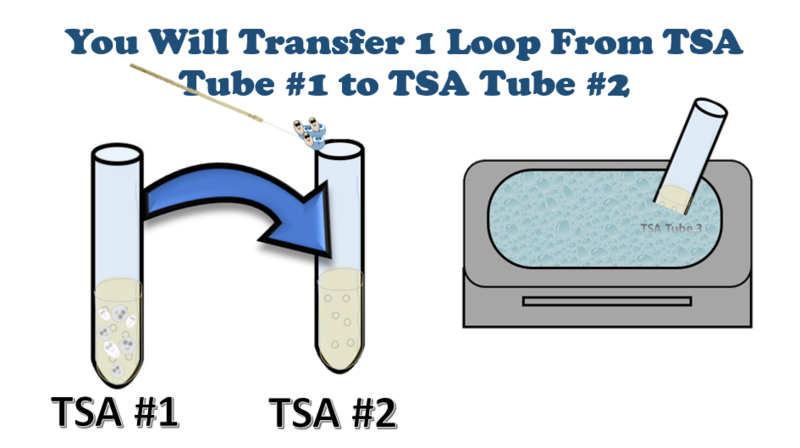 Have your partner retrieve another melted TSA tube (TSA tube 2) from the water bath and immediately transfer one loopful of the mixture from the first melted TSA tube (TSA tube 1) to the second melted TSA tube (TSA tube 2). Use the loop to mix 5 seconds. 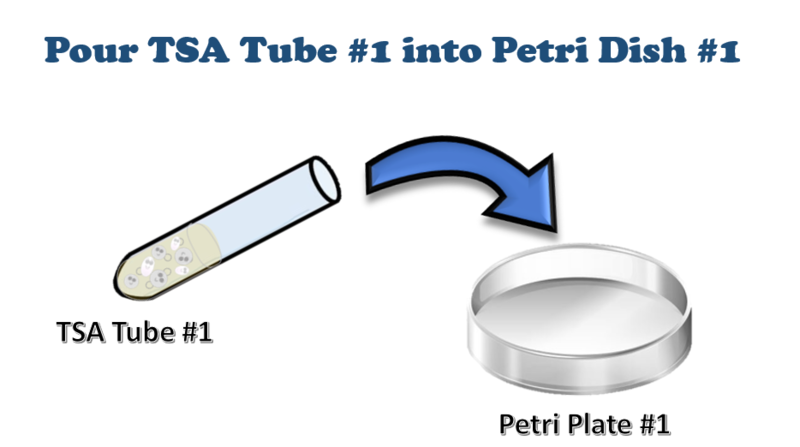 Immediately pour the contents of TSA tube 1 into the petri plate labeled 1. 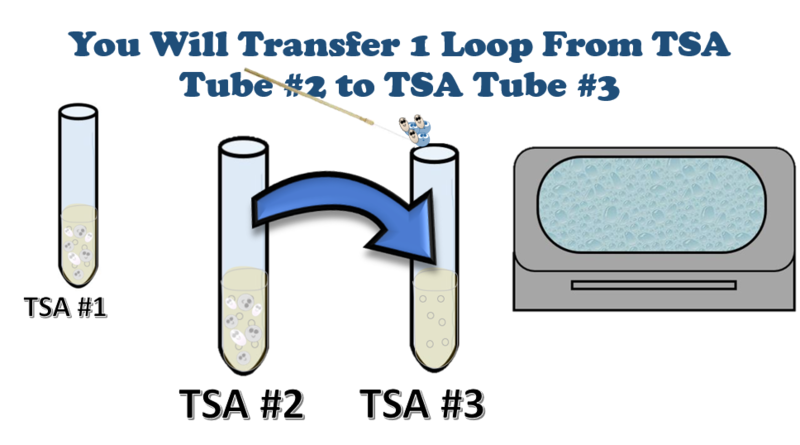 Have your partner obtain a 3rd melted TSA tube from the water bath (TSA tube 3) and immediately transfer one loopful of the mixture from the second melted TSA tube (TSA tube 2) to the third melted TSA tube (TSA tube 3). 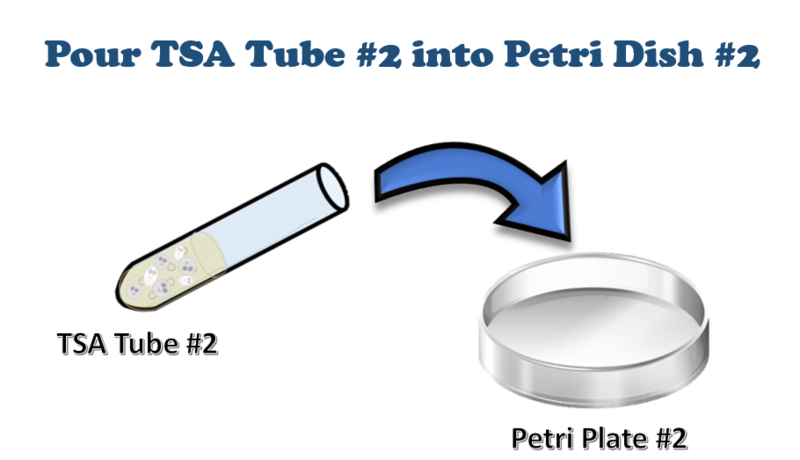 Immediately pour the contents of TSA tube 2 into the petri plate labeled 2. Immediately pour the contents of TSA tube 3 into the petri plate labeled 3. Gently rotate the plate to help the media spread out before solidifying. After your plates have solidified, incubate them upside down to avoid condensation. 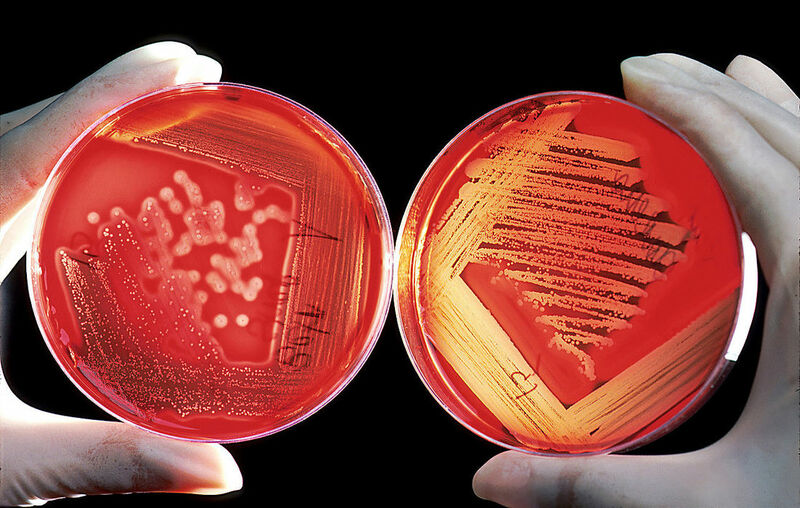 Why are Petri dishes stored upside-down? 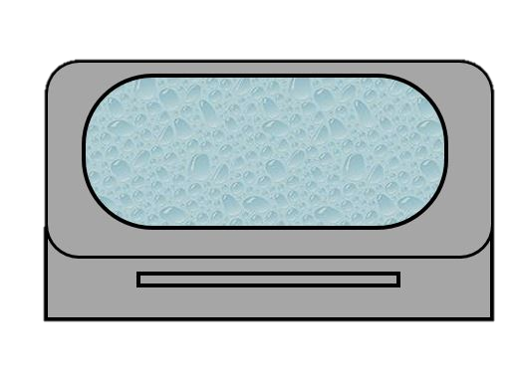 Petri plates are incubated upside-down to lessen the risk of contamination from airborne particles settling on them and to prevent the accumulation of any water condensation that may otherwise disturb or compromise a culture. 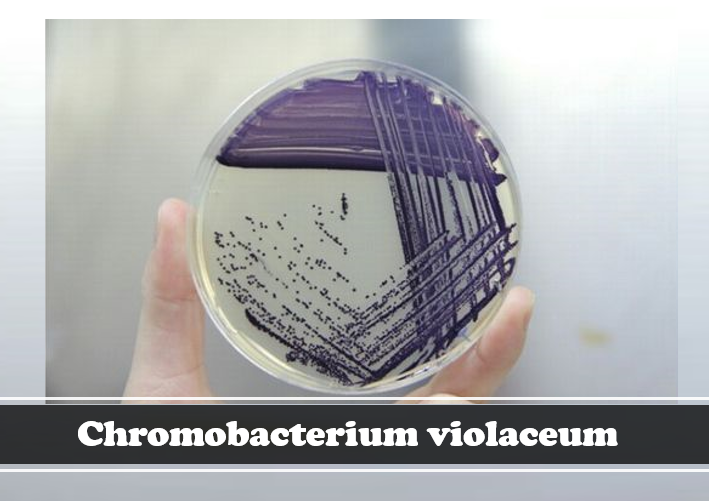 • You will need your streak plates and pour plates and three TSA slants for isolating your colonies. 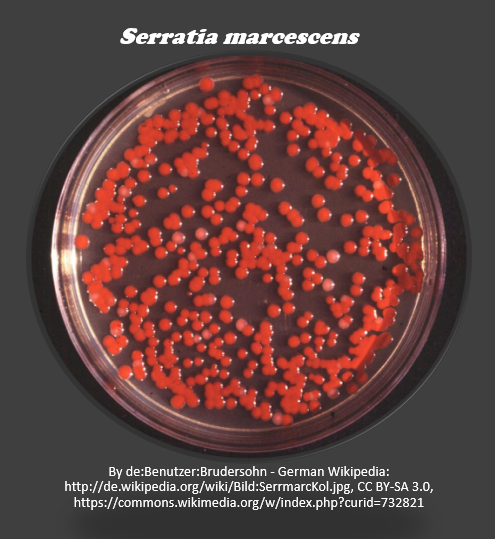 Ideally, you should see distinct separate colonies that are RED, PURPLE and WHITE. 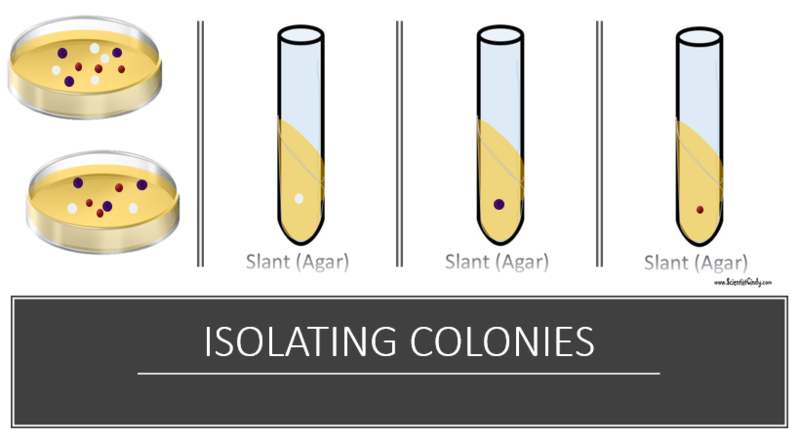 Isolate one of each colored colonies to its own dedicated slant tube and incubate at 25 degrees C.
After incubation, do a smear prep of the contents of each of your slants and perform a Gram-stain.